Crooked Stick GC, Carmel, Indiana: Current World No. 1 Jason Day says Tiger Woods won’t find winning easy after the 14-time major winner announced he was hopeful of returning to competition in October. Woods has been sidelined since sharing 10th place 13 months ago in his first appearance at the Wyndham Championship. Since then he’s believed to have undergone two operations on his troublesome back. As a result, Woods has nose-dived to 711th in the world rankings after sitting at number one as recently as March 2014. 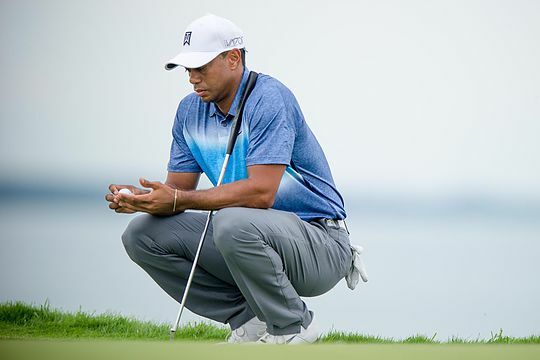 And while Day welcomed the news on the eve of this week’s BMW Championship, the Australian sounded some advice to those thinking Woods can simply pick up from where he left off. “The game has got so tight with how competitive it is and how hard it is to win,” said Day. Former World No. 1 Rory McIlroy is just pleased Woods is returning even though the Northern Irishman is happy he’s not competing in the Safeway Open. “I have sort of known for a while he was trying to start back at Napa as I had a long chat with Mark Steinberg (Woods’ manager) at The Open so I’m not that surprised,” said McIlroy. “You miss the miss the buzz that he creates at tournaments,” McIlroy said. “I’m just glad I won’t be playing the Safeway as it will be a circus over there. Can McIlroy catch Tiger’s richest-ever season?